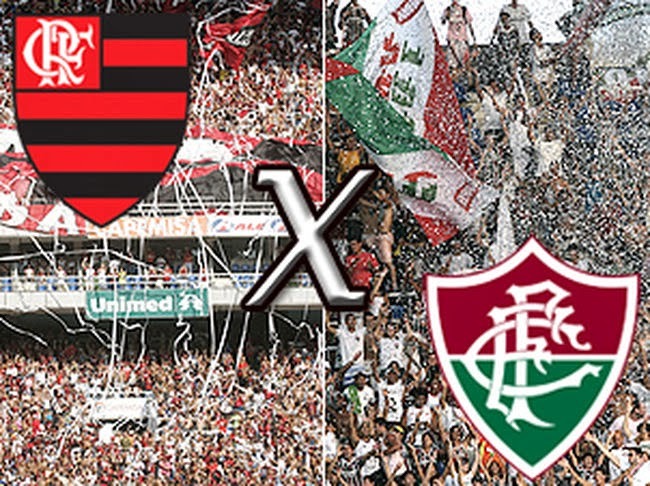 The Flamengo vs Fluminense derby, also know as Fla-Flu derby, is one of the largest in the world. In 1963 the match between these two bitter rivals set a record attendance of 194,603 people. In this weeks edition of Football Rivalries we will take a look at one of Brazil's most heated derbies. Flamengo and Fluminense are two of the biggest clubs in Rio de Janeiro and also two of the biggest in Brazil. Flamengo is the most successful team in Rio de Janeiro by a small margin, having won 32 state championships while Fluminense has won 31 times. Matches between these two rivals are played at the iconic Maracana stadium, located near downtown Rio de Janeiro. Maracana has a 95,000 capacity and on derby days it is full to the rim. The rivalry between these two giants started in October 1911, when a group of unhappy players left Fluminense and went to Flamengo, which at the time didn't have a football department. The first derby was played on July 7 1912 with Fluminense winning the match 3-2 in front of 800 people. One of the most famous matches in the early years of the derby was in 1941 and became known as the "Fla-Flu da Lagoa" (lagoon's Fla-Flu). In that game Fluminense needed a draw to win the title, but they managed to score two goals in the first half to go up 2-0 on Flamengo. Just before halftime, Pirilo scored for Flamengo putting the result at 2-1 at halftime. The same player would score Flamngo's second in the 83rd minute, putting pressure in the last minutes of the match on Fluminense. The Fluminense players hoping to shake off the pressure they were receiving, started to kick the balls out of the stadium into a nearby lagoon. Hoping this tactic would not only waste time, but that they would also run out of balls to play with. Flamengo's rowing team would go into the lagoon to retrieve the balls so the match wouldn't have to be stopped. Fluminense saw one of their players sent off, and the referee added 12 minutes of time at the end of the match. The game ended in 2-2 with Fluminense winning the title, and the goalkeeper Batatais being considered a hero for keeping the game leveled during the last 20 minutes of the match and playing with a dislocated collarbone from the 85th minute on. Torcida Jovem do Flamengo was created in 1967 and it is the oldest supporters group in Brazil. They were formed by members of the Charanga Rubro-Negra that left that group and formed their own. Jovem Fla was first known as Poder Jovem (Youth Power), inspired by the north american black movement. This new group was allowed to do things they couldn't while part of Charanga, like protest high ticket prices, bad performances or anything they didn't believe it was right or helping the club. They have since grown and now have small satellite clubs of the group spread not only all over Brazil but also the world, they call these groups "Pelotao" (platoon). Their motto is "Nada do Flamengo, tudo pelo Flamengo", which means nothing from Flamengo, everything for Flamengo. 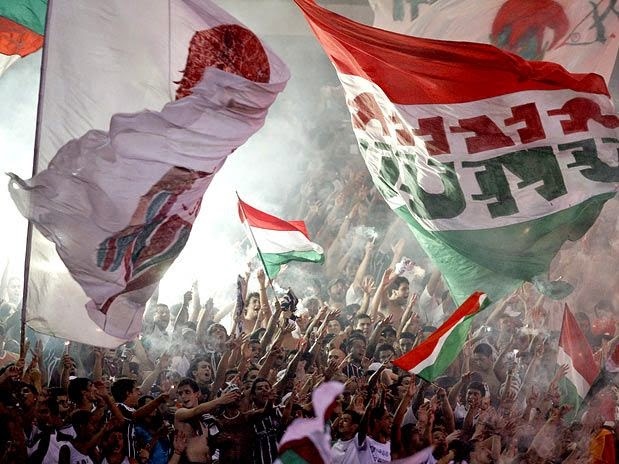 Young Flu was started by a group of young friends that besides going to school together shared a love for Fluminense. 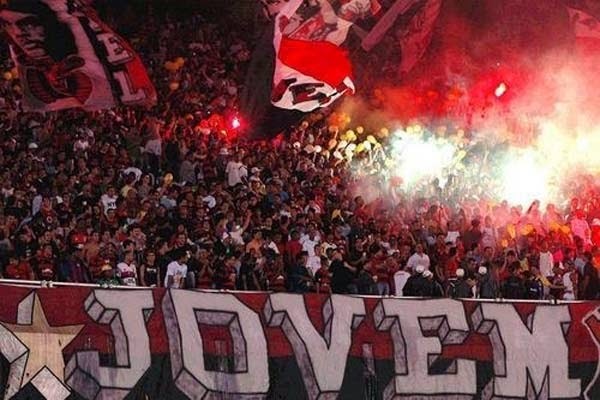 It is believed that they currently have 191,000 members, making them one of the largest supporter groups in Brazil and the world. The recognition for all their efforts during football matches came in November 10th 1995, when they received from the Rio De Janeiro Legislative Assembly the "Motion of Praise". They have grown even outside of Rio De Janeiro, currently having satellite clubs that they call "Nucleos" in several Brazilian cities as well as in other countries. USA and Argentina are two of the countries in which they have a strong presence. The rivalries between the supporters and fans of both these clubs extends beyond the football fields. 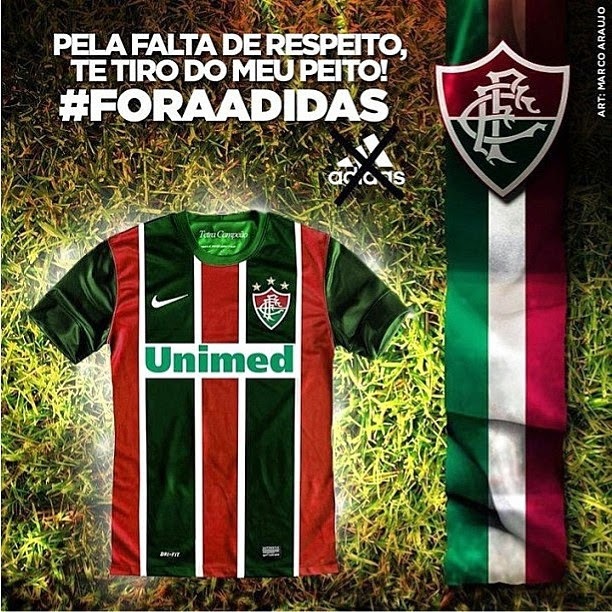 Fluminense currently has a deal with Adidas until 2015, and instead of renewing the deal, Adidas went to Flamengo and signed a new 10 year deal with them. This was not taken lightly by the Flu supporters. Young Flu started a campaign to get Adidas off their uniform jerseys and force the club to move to Nike or any other manufacturer. the campaign was known as #FORAADIDAS. Soon after the launch of the campaign posters and pictures started to appear on social media sites like Twitter and Instagram. As you can see the rivalry between these two incredible clubs has a long history and there are new battles being fought daily, either on the fields, streets or on the internet. In the end, it is about the beautiful game and what does to people. 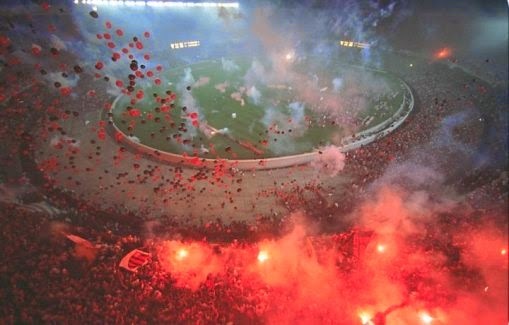 The passion it ignites and the love that it brings, and those feelings can't be better expressed than at the Maracana during derby day.